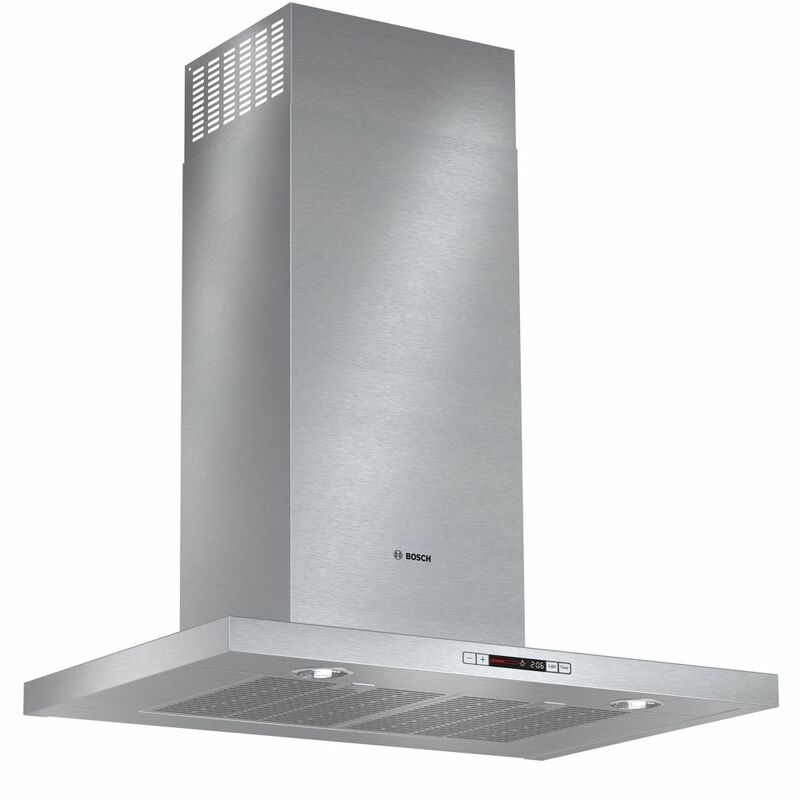 500 Series- 30 inch Box Style Chimney Wall Hood - 600 CFM Sleek, European design that blends with any kitchen. Bosch stainless steel chimney hoods integrate matching user interfaces and design aesthetics to complete the Bosch kitchen suite with sleek and sophisticated styling reminiscent of European design. With 300 and 600 CFM options, beautiful Bosch hoods will quickly clear the air of grease, steam, smoke and odour to keep your home fresh and odour free. 500 Series- 30 inch Box Style Chimney Wall Hood - 600 CFM is rated 3.5 out of 5 by 4. Rated 1 out of 5 by Mat76 from Unable to use it because of noise It’s the most expensive, most inefficient and noisiest hood I have ever used. Even cheap noname hood provides better air flow and silent operation. At the lowest operating mode you are unable to speak to anyone unless you are at 20 feet from the hood. Totally disappointed by this product. I own a Bosch dishwasher which is so silent I often open while it runs. I was expecting at least a correct sound level. Rated 4 out of 5 by Linda from Good look Nice looking: slim and contemporary. It's a bit noisy but works nicely.